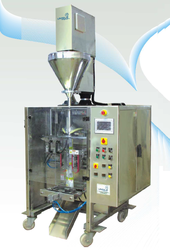 We are regarded as reliable spices packing machine manufacturer & spices packing machine exporter. 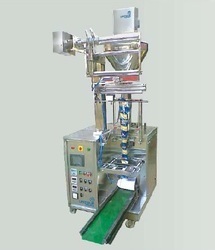 We deal in a wide range of spices packing machines. We aim to multiply customer satisfaction through continuous improvement of our products and services. 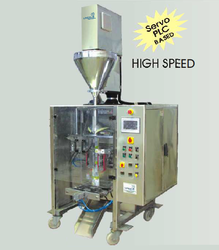 Packing Speed 15 to 90 Pouches / Minutes Approx. APPLICATIONS:- Highly Suitable for :- Spices Powder, Mehandi Powder, Atta, Besan, Maida, Detergent Powder, Pesticides Powder, and other similar Products. Highly Suitable for Whole Spices, Tea, Kurkure, Namkeen, Snacks, Spices, Salt, Sugar, Pulses, Rice etc. APPLICATIONS:- Highly Suitable for Chilli Powder, Spices Powder, Mehandi Powder, Atta, Besan, Maida, Detergent Powder, Pesticides Powder and other similar Products. Highly Suitable for :- Turmeric Powder, Spices Powder, Rice Powder etc. 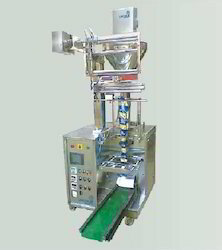 UNIQUE PACKAGING SYSTEMS deals in Automatic Food Packaging Machines for Curry Powder, Besan, Flour, Rice Powder, Powder, Bio-Fertilizers, Spices etc. 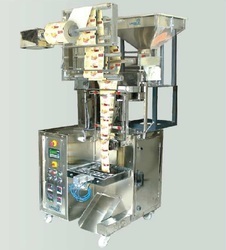 UNIQUE PACKAGING SYSTEMS supplies Automatic Pouch Packing Machine for packing all kinds of Spices powder products.